Free prepaid US Bank account Cards (Payoneer) in Pakistan and India. Payoneer prepaid Master card is one of the mostly used Online Payment Method in online shopping all over the world after paypal and even used more than paypal in some countries such as, Pakistan,Bangladesh,India,Nigeria and other asian countries due to the not availability of paypal. So today i will show you how to get payoneer master card with 25 dollars bonus and get register with it and receive Master prepaid Debit Card at your home in a month. 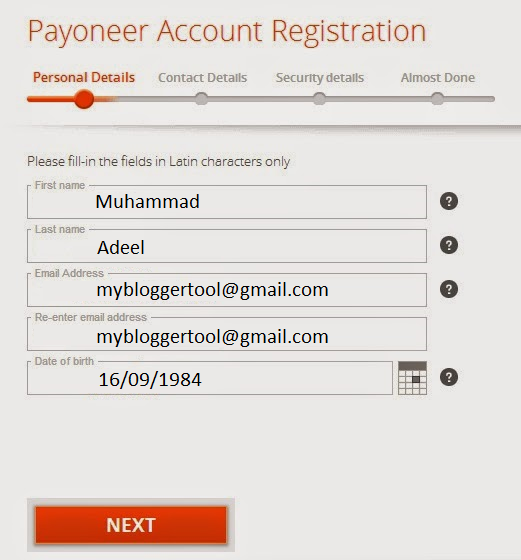 1: To Make Payoneer Card Account you just Go to this link and then click on sign up button. after click to Sing-up you will see the following form. How To Make Money Online ...:::: Earn Methods ::::... 2: simply fill this form with your own all information Write your full name, your email address,date of birth. and then click Next button. 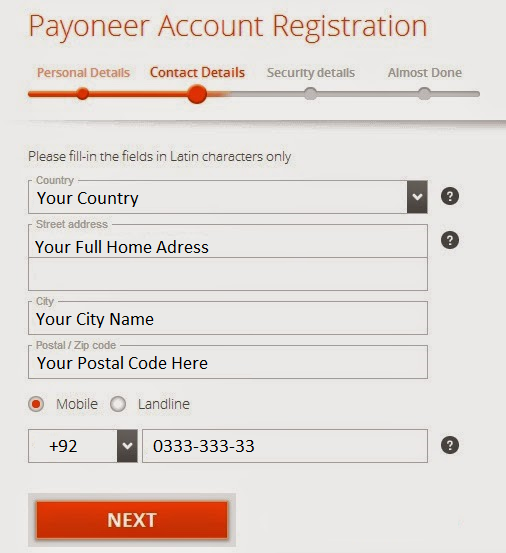 3: Write Your country name where you want to receive your Payoneer Master prepaid Card, Your street and Home address with your city, postal or zip zode of your city and also write your mobile number. 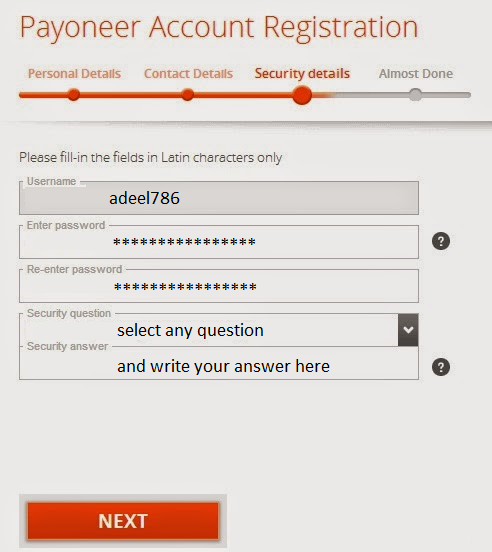 4: Now write your any Username you will use on payoneer account, enter password, and select your any security question. 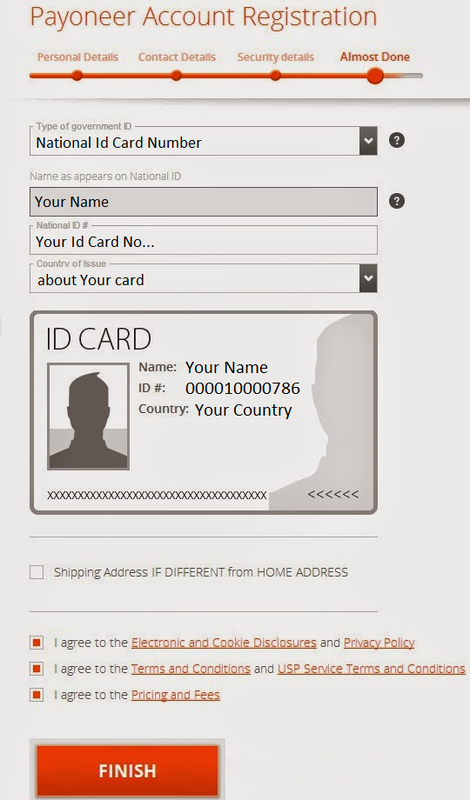 Above Form you have to put your Full Name (which is on National Government Identity Card), your ID number and your country of (Nationality) also read terms of service and click on finish Button. Now you will get a confirmation email on your email account instantly and they will tell you that we have received your order and it is in approval process,you will get your card approximately in 20-25 working days. After receiving your card within 20 to 25 days, log on to payoneer website and click on the add your card in box and apply your card data and pin code to activate the card. When will you earn 25 $ with Payoneer Card? Now Payoner Only Accept Members from Special Link. Payoneer will sent Payoneer Card to you if you Special.